As modern keys continue to become more sophisticated and less simple, you might think only the manufacturers of such devices are able to help with fixing or replacing them. The truth however is that your local locksmith is still more than capable of helping with all the keys you use, including the most contemporary electronic ones. Here we want to outline some of the most common designs of modern key that locksmiths can help with. The transponder is usually a device within your car key that sits somewhere within the plastic housing of the key. It's a signal transmitter that acts as part of an essential security system. Its most typical function can turn off your car in the event of someone breaking in and stealing it. Your key may have been taken or duplicated to enable this crime to take place. One of the services a locksmith can offer is to provide a replacement car key and repair the locks on your car if it is returned to you. Most locksmith companies will possess the required expertise to repair, replace and work with a range of transponder designs. Similar to the transponder, the keyless entry transmitter is housed within the key's head. It can stop working due to programming errors or damage. A lock repair specialist should arrive equipped to repair, reconfigure or replace your mobile keys, so that the signal it sends effectively unlocks and locks the doors. This is something that only an expert locksmith will be able to install for you perfectly. 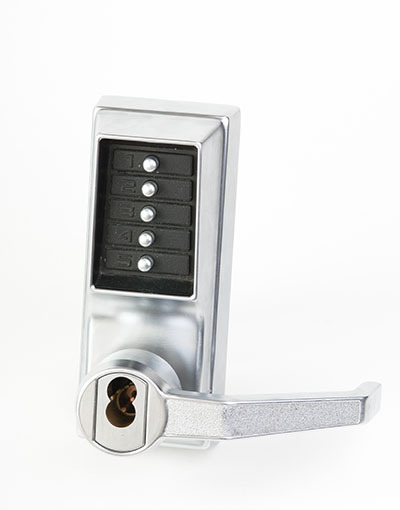 A master keys system enables one key to open a range of locks around your property. It requires precision lock adjustment and proficient key cutting to be executed flawlessly.